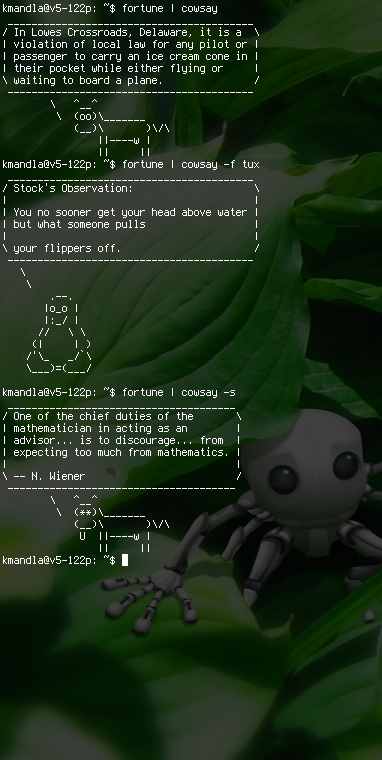 I piped fortune (of bsd-games fame) through cowsay that time, just because I couldn’t think of anything clever to say on my own. Not surprising, that. This entry was posted in Linux and tagged game on 2013/09/29 by K.Mandla.